In this module a very-simple c program/code to display 0-9 on a 7-segment LED display using ARM Cortex M0 powered NXP's LPCXpresso board using 32 bit microcontroller (MCU) LPC1114F is explained. Seven segment LED is device having seven light emitting diodes with either anode terminals (common anode ) or cathode terminals connected together to form a number '8' pattern as shown below in the picture. 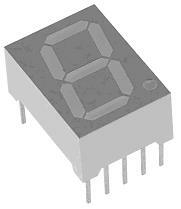 To use them you should know the pin configuration of the commercially available displays. As you must have guessed these displays should have nine pins( one for each segment + decimal point +common) but the available modules have two pins for common ground. They are internally connected. So they have total of 10 pins (see the picture below). 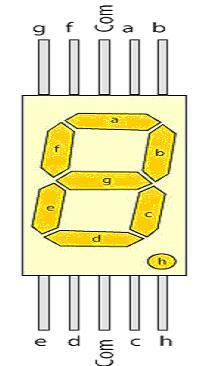 A 7-Segment display has 7-segments/pins named as a, b, c, b, e, f, g for forming the '8' pattern and and another segment/pin called 'h' for DP (decimal point) along with two extra pins for GND (in case of common cathode). 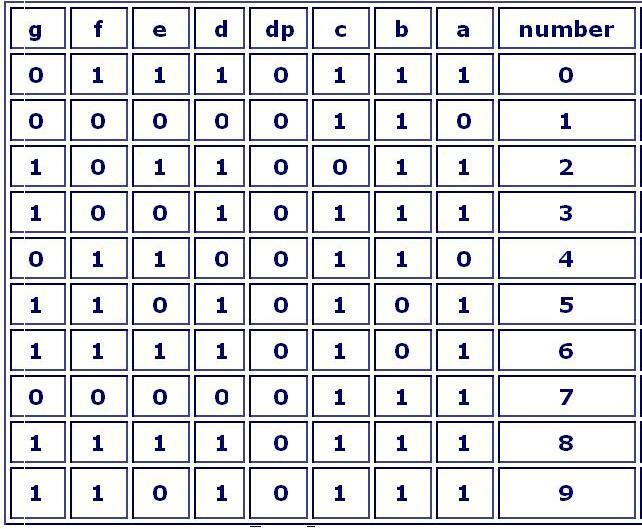 Below table shows the segment control for characters 0-9 as required for displaying numbers. 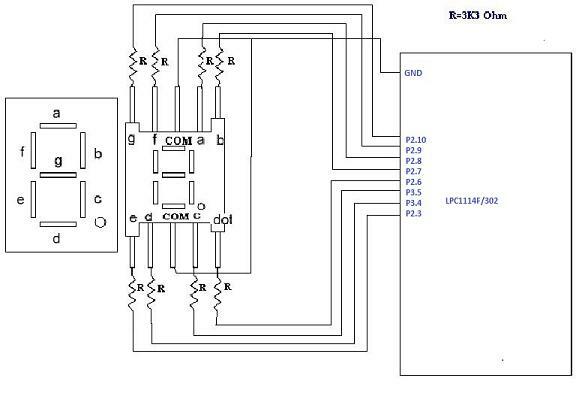 The below circuit connects 7-Segment display with port-2 and port-3 of microcontroller. LPC_GPIO3->DIR=0x030; //set the P3.4 ,P3.5 pins as output pins. 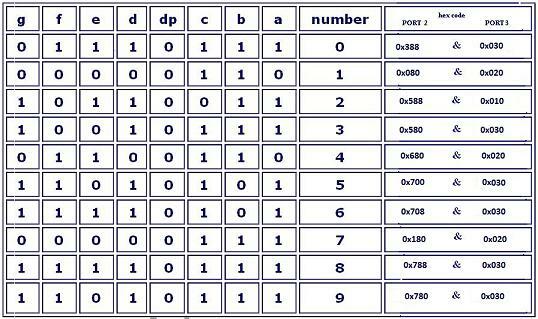 Please refer the table below for the hexa-decimal code required at the output port-2 and port-3 for displaying a particular number on the 7-segment.